Teri-La Pass newly explored Trek is newly explored Trekking routes in 2006. 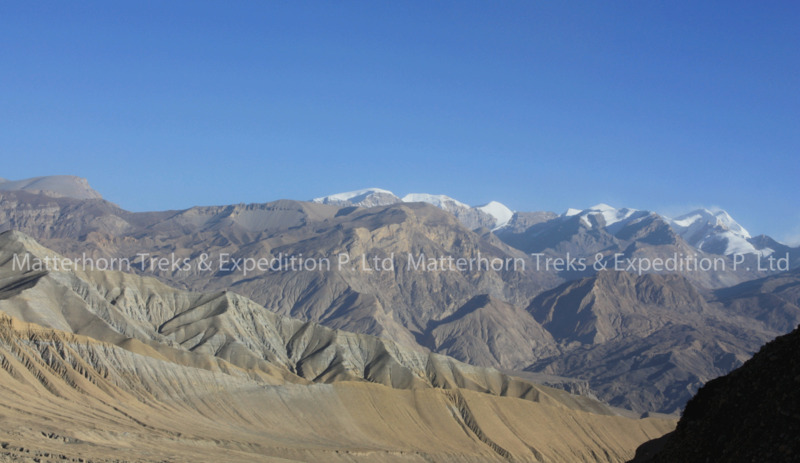 It is challenging and very popular trekking trail with beaten track and difficult pass. 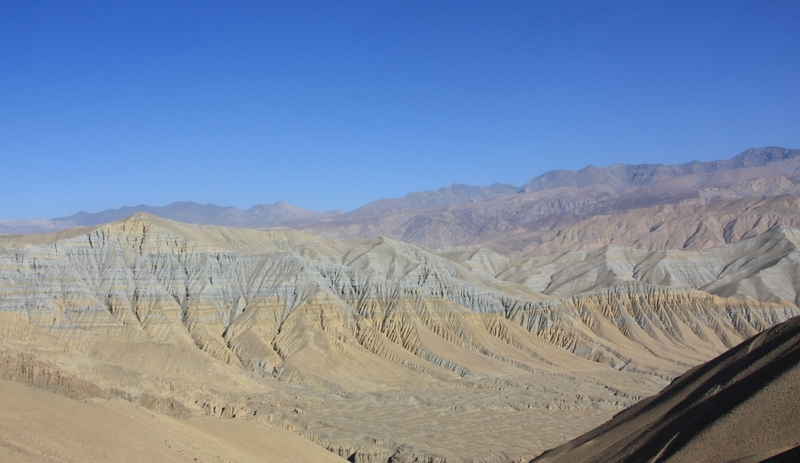 Teri-La is located in remote parts of Mustang region of Damodar Himal, close to the border of China (Tibet). The trails are rugged, cutting high into cliff sides and pass villages that have changed little over the centuries. Teri-La Trek can be done in anti-clockwise for which the trek start from Phu and then ascend to Teri-La pass and enter in the Mustang “Hidden Valley” and return to Jomsom or clockwise for which the trek start from Jomsom and follow Upper Mustang trail and descend to Nar-Phu valley and end at Besisahar. The trek starts from one place to another with great sceneries, cultures, religion and geographical variations. Hence trekkers can enjoy the fantastic and picturesque views of diversity in this region. Saribang trekking and trek will start from one region and end another trekking region by enjoying scenery, religions, geographic elevation. The trekkers and climbers really enjoy its fantastic and picturesque views of Himalaya and beyond. During the trekking, trekkers meet different villages, monasteries, culture and religion of Tibetan style every day. Breakfast at the hotel, off to domestic airport for morning flight to Pokhara 35 min or we can drive to Pokhara for 7 hrs. Upon arrival in Pokhara, you will be transferred to your hotel. Half day tour of Pokhara City. Pokhara is a place of remarkable natural beauty. The serenity of Phewa Lake and the magnificence of the fish tail summit rising behind it create an ambiance of peace and magic. At an elevation lower than Kathmandu, it has much more tropical feel to it, a fact well appreciated by the beautiful diversity of flowers which prosper in its environment. Indeed, the valley surrounding Pokhara is home to thick forest, gushing rivers, emerald lakes and of course, the views of world famous Himalayas. Overnight at Lodge or B/B.